We are mortal and every step we take brings us one step closer to the grave. 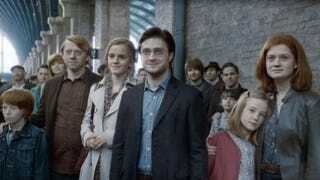 We know this because today—September 1st, 2015—is the day that Harry and Ginny Potter (née Weasley) send their first son to Hogwarts to begin his wizard education, according to none other than J.K. Rowling herself. You are old and should feel old. Update: Rowling continues to give us the blow-by-blow of James’ first day at school.